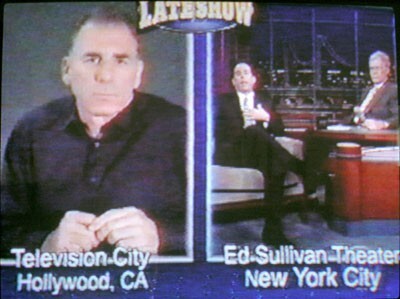 Comedian Michael Richards apologizes well, attempts to apologize for his racial tirade during an appearance on The Late Show With David Letterman. In Ivan Dixon's film The Spook Who Sat by the Door (based on Sam Greenlee's controversial book of the same name), the late actor Lawrence Cook gives a brilliant performance as Dan Freeman, the first black man admitted to the CIA. In the movie, Freeman takes the training that he receives from the CIA and uses it to teach the Cobras, an underground guerrilla military group from the Southside of Chicago, to go to war against the United States government for crimes committed against black Americans. Although the Cobras knew that the revolution was coming, they never imagined that it would jump off over the murder of a dope peddler named Shorty. Fast forward to 2006, and who knew that the revolution brewing over the use of the "N" word would jump off over a washed-up comedian named Michael Richards? Known for his comic turn as Kramer on the hit TV show Seinfeld, Richards had a well-publicized meltdown at L.A.'s world-famous Laugh Factory in which he called some brothers, who allegedly heckled him, the "N" word multiple times, followed by racist comments about sticking a fork up their asses and hanging them from a tree if this were a different time. Well, it is a different time, but the intent behind Richards' racist rant smacks of the racist ideology that he grew up with and thought would fly in a comedic space. NOT. To add insult to injury, he then called up Jesse Jackson to apologize. While giving a haphazard apology to all "Afro-Americans" on late-night television. Richards, who previously had been admonished for making anti-Semitic comments, which he brushed off due to his "Jewish" heritage -- which never existed since he never officially converted -- exposed himself again as the racist, pathetic, shallow real-life person that he is. What is really troublesome is that much of the discussion that has needed to take place for years now over the use of this word is now happening due to the antics of this idiot ... and guess who is getting most of the blame? Black folks in general, and black rappers specifically. Supposedly, if black people would stop using this word so freely, then others would not use it either. YAWN. This turn of events is interesting because black folks didn't invent the word, nor does the use of the word in many cases reflect the ill intent of Richards' use of the word. "The outcry about the use of the word in response to his [Richards] comments is off base," says Dr. Robert Smith, assistant professor of History and Africana Studies at the University of North Carolina at Charlotte. "Michael Richards did not learn that venom from black people. The racial hostility he showed in that clip is something that he learned long before young black people were even born." To add fuel to the fire, it's not just young black folks and old, washed-up actors that use the word; you can hear it thrown about freely in malls across America, on any city street or suburban enclave by a multitude of people, including whites, Latinos and Asians -- and this is largely due to the commodification and distribution of hip-hop culture and thus the commodification of the "N" word. The character of Honeycutt, played brilliantly by (and I am not kidding) Thomas Jefferson Byrd, sings this ditty when auditioning for the New Millennial Minstrel Show in the film Bamboozled, Spike Lee's satire of the entertainment industry. "Niggaz is a beautiful thing" as long as "they" generate money, which is what this film tried really hard to teach us, albeit in a very heavy-handed way. When discussions about the use of the "N" word arise, we sometimes clutch our pearls and gasp and swoon, all the while knowing that we love our "niggas," and there is a billion-dollar industry out there to prove it.